"We are coming together to enjoy life, celebrate with our friends, remember those who left us too soon, and raise money for causes close to our heart," said Michael McDermott, President of Trebius Promotions. TIPP CITY, Ohio, May 20, 2015 (SEND2PRESS NEWSWIRE) — As Festival Presenting Sponsor, Dave Arbogast Buick GMC Vans RVs has added its name to the growing list of sponsors of Miyelo Music Festival, a day-long event in Tipp City, Ohio. Presented by Trebius Promotions, the event will benefit local causes, including breast cancer charity Pink Ribbon Girls. Pink Ribbon Girls meets the practical needs of families affected by breast cancer. The dealer’s generous support continues its long history of community involvement. Miyelo Music Festival will take place Saturday, July 18, 2015 in Historic Downtown Tipp City. General Admission tickets for the 2015 festival are available online at http://miyelomusicfest.com. Dave Arbogast Buick GMC Vans RVs sells new and used autos, conversion vans, RV’s, travel trailers, fifth wheels, and watercraft. The dealer has been honored with awards from every product and manufacturer it carries. 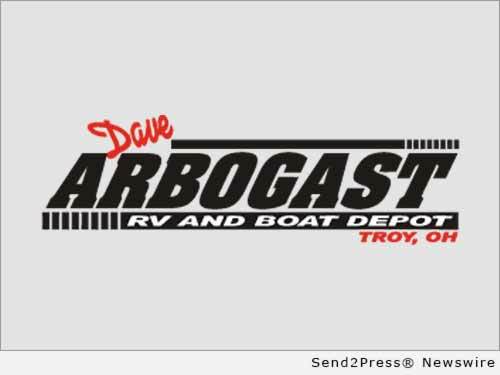 Arbogast’s Recreational Vehicle (RV) business includes Airstream products, a Jackson Center, Ohio, RV manufacturer that has also joined as a Miyelo sponsor. The brand’s distinctive aluminum trailers and RVs are iconic Americana. Trebius Promotions is working with Donnie Reis, front man of The Donnie Reis Band and Producer at Twelve3South Studio to host the event that is a “Party with Purpose.” On Saturday, July 18, Miyelo Music Festival will transform the streets of downtown Tipp City into a music festival experience. The 2015 lineup features national acts including GRAMMY® nominated songwriter Will Hoge, Brandon Chase from NBC’s “The Voice®”, Neulore, Kris Allen, winner of the eighth season of “American Idol®,” Erick Baker, GRAMMY® nominated songwriter Seth Glier, Ben Bradford, Elenowen, Joseph LeMay, Keta, along with several yet-to-be-announced nationally recognized acts.